To decorate your property with a decorative element of yesteryear, nothing beats the beauty and charm of a cast iron Medici basin . Essential to adorn and embellish your exterior as well as your interior, this object is the missing piece to complement your flea market style or Garden of Eden. Put in your garden pot a pretty plantation to highlight it. 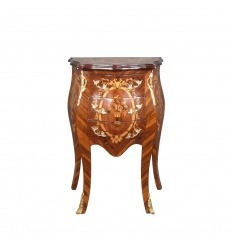 The Medici basin without base is an object both utilitarian and very decorative. To install on the furniture of entry, in an angle of your living room or your office, on your terrace, it knows to charm you by its timeless beauty. Discover among our collection the Medicis cast iron basin that suits you to accompany your retro and vintage style decor. 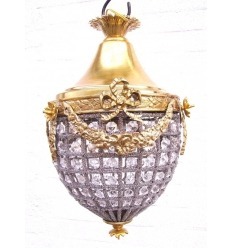 Our shop offers you an interesting collection of this antique vase to elegantly decorate certain areas of your property. 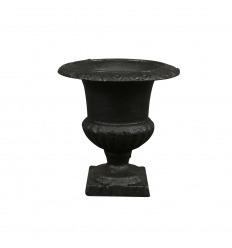 Our products are perfect replicas of ancient garden bowls, appeared in antiquity. 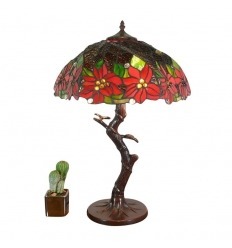 Each of them will adorn your property with charm. With its timeless beauty, a container of this kind can be easily embedded among other decorative elements of your home. The vases without base are available in several sizes and in various patterns. Each of them will be able to sublimate the place where you intend to install it. Indeed, the vasMedici that takes its name from the family, who invented the style and form inverted bell in the sixteenth century. It is a patrician family from Florence, which began its power during the Italian Renaissance era. For information, she had ten banking subsidiaries in Europe. This crater is adorned with pretty engravings, different according to the models. 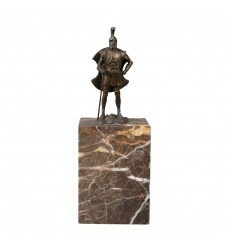 Originally, it was made in neo-Attic marble, generally dated around the first century BC. Since then, there are several types of materials including stone, terracotta and cast iron. Cast iron bowls are the most reproduced because of their design and strength. They are very popular because it is a very stable material, even if you install them in a sophisticated environment. Moreover, they can continue in time. Even outside, the weather will give your garden vase a patina that will give it an antique appearance. Resembling a large cup decorated with fine sculptures and moldings on all contours, a Medicis basin without pedestal is perfect for a garden. Its classic style makes this object a container both functional and aesthetic. Indeed, the main function of an old Medici cast iron basin is to welcome flowersor floral arrangements. 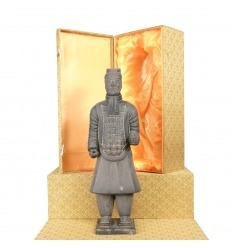 Smaller models can be used as an empty pocket in an entrance, office or kitchen, ashtray, or even candle holders. These will settle preferably inside the house. However, it is possible to place them on the support of your wish outdoors to convey a touch spirit flea market. Sober and refined, a large Medicis style washbasin will bring all its charm and finesse to your floral compositions. It has always been a privileged element of decoration to decorate a garden. There are even many in the famous gardens and castles of France, like the garden of Versailles. 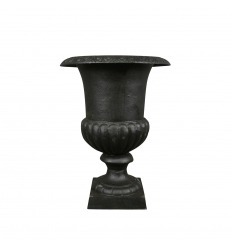 The charm of the large cast iron bowl will also decorate your exteriors in the style of a palace. Its imposing size allows it to receive large plants, which requires enough space for its location. Its bottom is pierced to allow the flow of excess water. Regardless of its role or size, the cast iron planter without pedestal is still an object of art and an exceptional aesthetic support. Just give free rein to your imagination to choose what you're going to do. 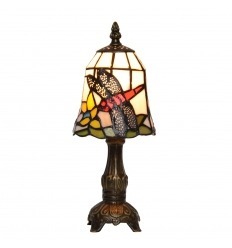 Such an object will always feel good in any room, especially if the flea market, retro, countryside or garden of Eden is always at the rendezvous. Designed in cast ironhigh quality, a beautiful Medica washbasin will be combined with other decorative objects from your garden or your home. 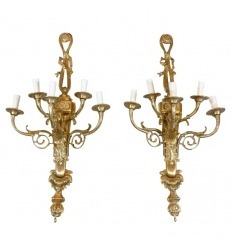 Its timeless beauty will add a touch of elegance to your property. Inspired by antiquity, cast iron sinks are carved by adopting the same methods as the nineteenth century foundries using cast iron. Very popular in the iron and steel industry, cast iron is a carbon-rich iron alloy with excellent flowability. The history of melt work dates back centuries. In 1850, a collaborator of Napoleon III, Baron Haussmann, began its use in the creation of the famous Wallace Fountain. Then, the French architect Hector Guimard used the concept in the realization of the metro entrances of art nouveau style cast iron, between 1900 and 1913. Made of old-style patinated cast iron, Medici basins without pedestals are available in several sizes and can be used in different ways. They are provided with a hole in the bottom, allowing it to evacuate the water, if you put plantations of plants there. But this same hole lets the wire pass if you plan to turn the pot into a point of light. In fact, to give a friendly atmosphere while still remaining in an old spirit, the large cast iron planter can be electrifiedied. This will give your exterior a new dimension. In these cases, the Medici basins cast iron make your domain remains an air of the eighteenth century. Round, wide and decorated with engravings, the faithful reproduction of an ancient vase inspired by the free classical era influences contemporary vases. It will find its place in all the moods. 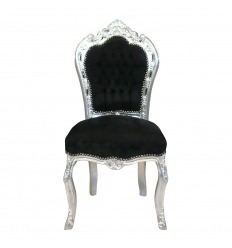 But its elegance can provide a royal touch in your space. 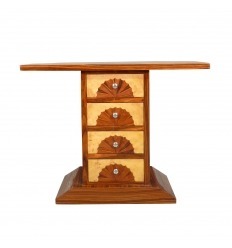 In addition, this container has been studied and created in detail to bring authenticity to your home. Its precise design recalls the great ancient gardens of the emperors or those of the rich Roman clients, called horti marmorei (marble gardens). What are you waiting for now, let yourself be seduced by the luxury of this flea market? Take a look in our garden section of the faithful replicas of the old washbasins , benefiting from a neat finish. The retouches moldings and reliefs are made by hand. You will have trouble thus to differentiate from the copy of an old vase. In general, the purchase of a pot is by pair if it is for the access of a property. 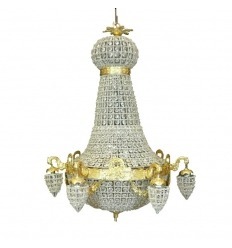 The dimensions, including height and diameter, are among the essential characteristics that determine its price. All our reproductions are made respecting all the rules of design of the basic model, like quality materials.The vases of antique style will thus preserve the authenticity of your project. 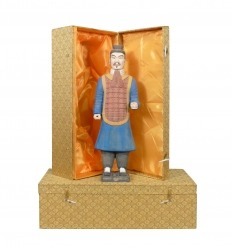 Choose the model that suits you to decorate Castle your property and order online. Your Medici basin without pedestal will be delivered in express in just three days on average.